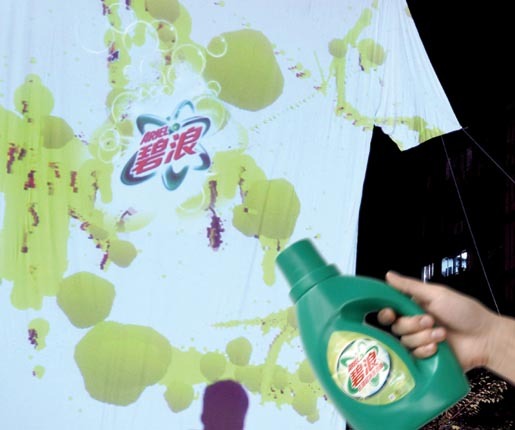 Ariel laundry liquid was put to the test in “Big Stain”, a technologically innovative campaign developed at Saatchi & Saatchi Guangzhou. The campaign involved giant digital t-shirts, and an interactive ‘Ariel Wii Game’ using Wii consoles disguised as giant bottles of ketchup, soy sauce, mustard and Ariel. 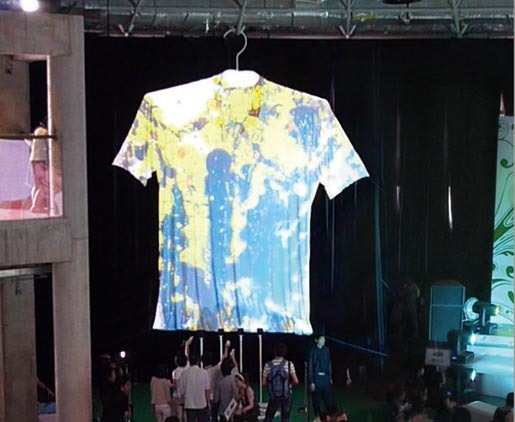 Giant digital T-shirts have been displayed in public places, outdoors and in malls, for people to cover in virtual ketchup, soy sauce and mustard. The Wii game is programmed and projected onto a digital T-shirt, and involves Wii consoles disguised as a sauce bottle or Ariel. 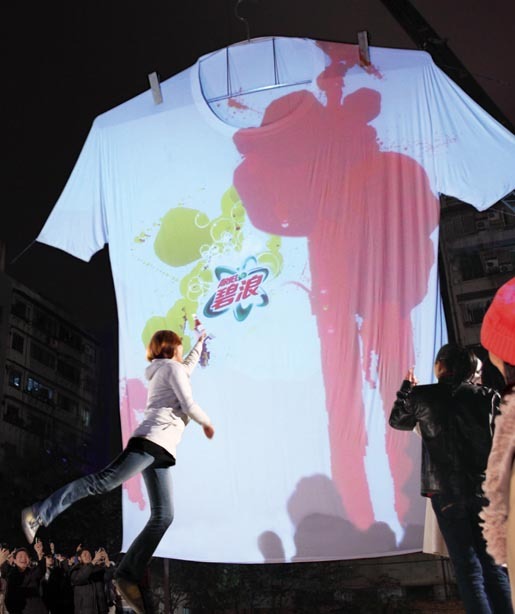 Members of the public were invited to cover the giant T-shirts in sauce, then remove the sauce with the Ariel Wii controller. 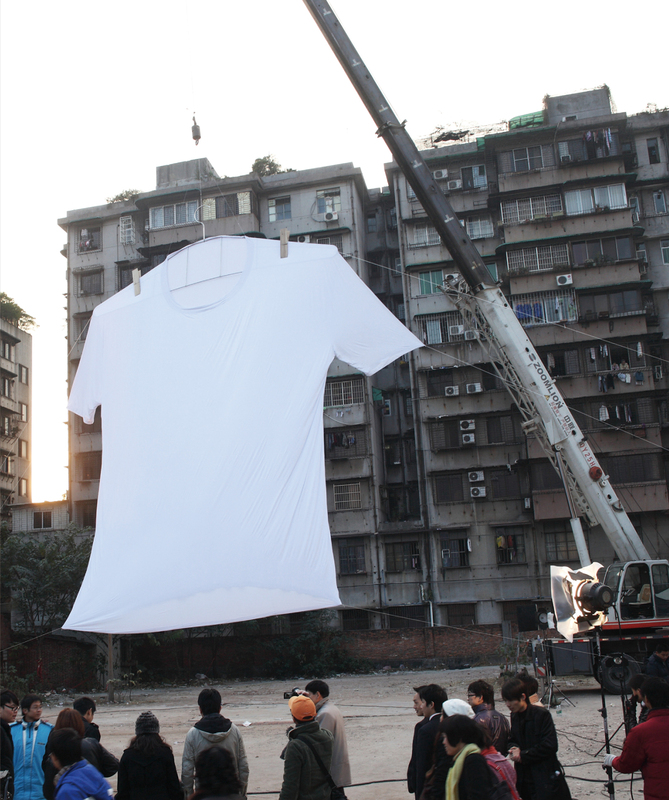 The Big Stain campaign was developed at Saatchi & Saatchi Guangzhou, by creatives Fan Ng, Wendy Chan, Jonathan Ip, Andy Greenaway, Edmund Choe, Henry Chu (Pill & Pillow HK), working with P&G Ariel brand director Alan Zong. Filming was shot by director Eddy Chan and Lee Wai Kai. 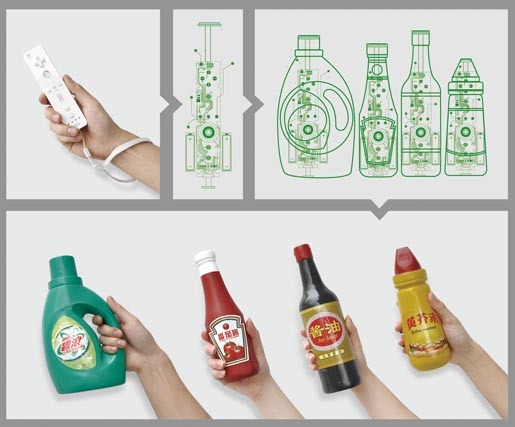 Music is by “Drum”.